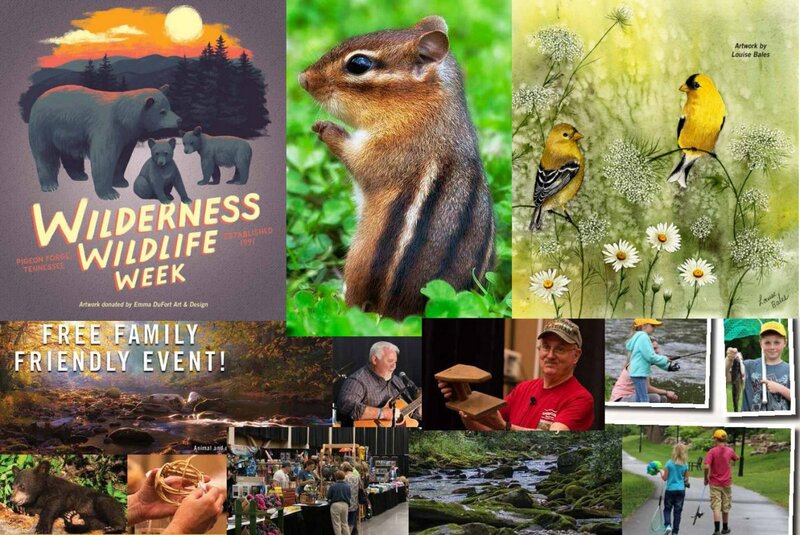 Every year in May, Pigeon Forge hosts a week of programs known as Wilderness Wildlife Week. Free and open to the public, the event offers hundreds of experts presenting workshops, seminars, children’s educational and fun activities, and guided hikes in Great Smoky Mountains National Park. It’s a celebration of the abundant diversity of the area, its nature, topography and wildlife. The popular event is based in the LeConte Center in Pigeon Forge and usually lasts 8 days. It’s an excellent introduction to the Smoky Mountains, perfect for nature lovers, hikers, and everyone who loves the outdoors, especially in the beauty of the mountains and America’s most visited national park. With literally hundreds of experts and talents in practically any field you can think of, conducting hundreds of classes, demonstrations, tours and performances through the week, it is simply impossible not to find something each day that enthralls you. This is perfect family fun, informative and entertaining at the same time. It makes a great home-schooling curriculum. Wilderness Wildlife Week aims to demonstrate the culture, history, terrain, wildlife and foliage of Great Smoky Mountains National Park and the region around it. This subject is even more vast when you browse the hundreds of events that go into this theme, from music to photography, history to hiking, fishing, writing, art, theater performance and truly a whole lot more. LeConte Center hosts close to a hundred exhibits and booths for this event, and is usually open daily from 9 am to 6 pm (closing at 3 pm on the final day). Daily events start at 8 am and run full-tilt until around 7:30 pm, followed by a keynote evening program each day. Each day covers more than 50 events happening, mostly in the Center and with some offsite in the Park or at other locations. Typically each event is no longer than an hour, and with many running at the same time, you simply can’t see everything you’d like to. But it’s all part of the amazing richness of the Park and the area, brought to life in this bustling event. There will be a photography exhibit in the Center all week, opening Sunday, and also a photography contest with several categories. There are numerous photography classes through the week, including how to avoid common mistakes and shoot a good nature photograph, exploring editing software, how to shoot flowers, butterflies and birds, where and when to photograph the Smokies through the seasons – and even how best to enter a photography competition! Music ranges from full performances of bluegrass, hymns and mountain ballads, to explorations of single instruments. Try the hammered dulcimer event or the claw hammer banjo. Don’t forget the bagpipes, of course. And you can even learn how to play the spoons and washtub bass. History is not far away during Wilderness Wildlife Week, presented in tours and lectures, re-enactments and performances. Colorful characters of the region appear in story and song, while Teddy Roosevelt and one of his Rough Riders engage in an evening of stories around the campfire. Writing, cartooning, landscape perspective, drawing, trout fishing, storytelling, rag-rug making, harp singing, the truth about pirates, Amelia Earhart, bears, Civil War soldiers, camp cookery, gemstone jewelry, Native American skills and lore, mastering the cell phone, bird nest boxes, dowsing, wood carving – all of these things are only SOME of the treats lined up for Wilderness Wildlife Week! Offsite there are guided hikes of different levels, bird hikes, scenic strolls, waterfalls to visit, as well as numerous indoor classes on hiking and backpacking, hiking journals, hillwalking in Scotland, hiking Mt. Whitney, and of course all about the 850 miles of maintained hiking trails in Great Smoky Mountains National Park. There are so many things happening during the 8 days of Wilderness Wildlife Week that in 2018 the Program Guide was over 60 pages to list them all. The event’s web listing is here: Wilderness Wildlife Week.